As far as chance encounters go, the meeting between AnnMarie Thomas ’01 and Damian Kulash, the lead singer for the rock band OK Go, could not have gone better. Thomas and Kulash first met at a coffee shop after a TED conference and later on a flight from Los Angeles to Minneapolis, where Thomas shared details on her research group, the Playful Learning Lab, which helps PK-12 students and educators create fun, hands-on engineering projects. Kulash was keenly interested, especially since OK Go’s unique, one-take music videos have gained fame for incorporating engineering elements. The band’s 2010 video, “This Too Shall Pass,” created with the help of Media Lab graduates, features a complex Rube Goldberg machine and accumulated more than 58 million views on YouTube. Thomas and Kulash remained in touch and brainstormed ways to collaborate. The end result is the OK Go Sandbox, a joint effort between the band, the lab, and the engineering departments at the University of St. Thomas in St. Paul, Minnesota, where Thomas is an associate professor. 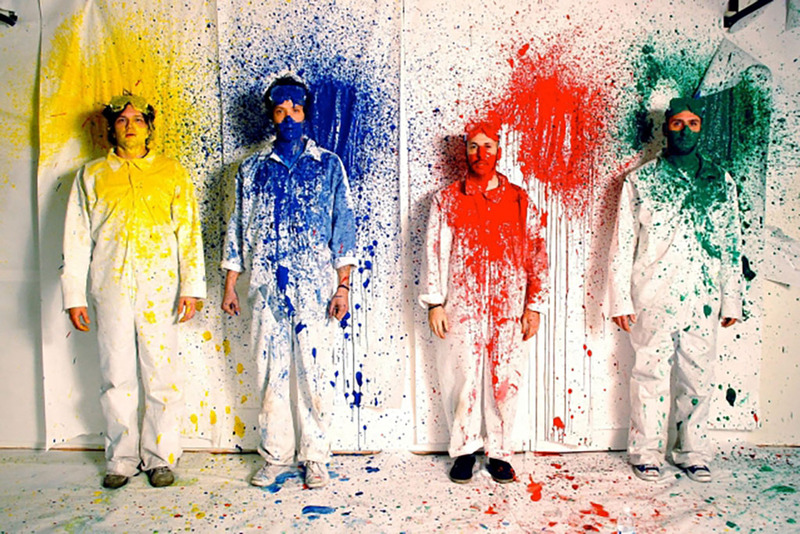 The OK Go Sandbox is an online portal that uses the band’s videos as starting points to explore various STEAM concepts. Each video is accompanied by a series of activities and challenges designed to analyze the video with a problem-solving lens. The challenges for “This Too Shall Pass” focus on simple machines and their role in complex structures. “We want to give teachers whatever tools they need to connect the joy, wonder, and fun in our videos to the underlying concepts that their students are learning,” Kulash says on the Sandbox site. Each challenge is heavily influenced by students and educators who have to accompany the challenge video shoots and share their expertise and feedback. The Playful Learning Lab was created in 2009, the same year that Minnesota added an engineering curriculum to its state-wide K-12 standards. The lab’s other projects include Circus Engineering, which explores equations of motion for circus aerial acts, and a weekly after-school engineering program for deaf middle school students that recreated the Angry Birds video game using plastic balls and cardboard boxes. Thomas says her hands-on approach to teaching is thanks in large part to her MIT education, especially Professor Emeritus Woodie Flowers SM ’68, SM ’71, PhD ’73. This story was originally posted on the Slice of MIT blog.